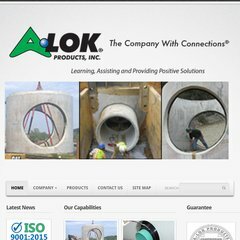 a-lok.com How Percent of Grade Relates to Pipe Deflection for A-LOK X-CEL .. The site is programmed for ASP.NET. ns57.worldnic.com, and ns58.worldnic.com are its DNS Nameservers. Network Solutions Llc (Virginia, Herndon) is the location of the Microsoft-IIS/6 server.